Cleaning exotic area rugs is as much an art form as weaving them. It takes a combination of knowledge, skill, and expertise along with the right equipment, environment and cleaning agents to get it right. For us, no two rugs are the same. Each rug goes through a primary inspection phase where we will ID the rug, make note of any possible imperfections, identify the fiber type and determine what the safest and best possible cleaning methods would be for your particular rug. 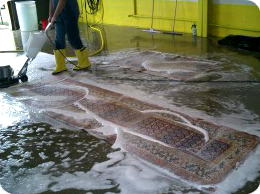 Persian and Oriental Rugs must be professionally cleaned in a controlled environment. It is not recommended to attempt to clean area rugs in your home. Doing so can cause severe and often times irreversible damage to your fine textiles. 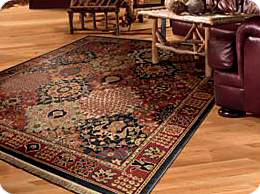 Our trained technicians can make your area rug pick up very easy. They will arrive at your home within the specified time that your appointment was set up for. Our New York Rug Cleaning technicians will move any furniture required to move and roll the rug up to bring back to our facility. 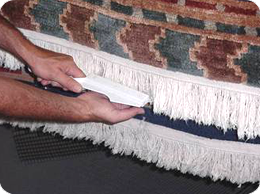 Once your area rug is ready, our technicians will bring the rug back all wrapped up and ready to be placed back down. They will take extra care placing the rug back down where you like it. As always, we stand by our work and are so confident that you will be pleased with our service that we offer a 100% money back guarantee on our work. Your satisfaction is what is most important and if for any reason you are not fully pleased with our cleaning you will not be charged.